Earlier on the blog, I quoted the Kentucky Distillers’ Association’s Eric Gregory about the increase in bourbon tourism here in Kentucky, particularly to the six distilleries that make up the Kentucky Bourbon Trail. But there are still people out there, believe it or not, who have not experienced the beauty of Central Kentucky or the magic of seeing bourbon made right before your eyes. If you’re one of those people, you might want to check out the 2012 Bourbon & Banter Pilgrimage, which is heading to Kentucky Oct. 12-14. Bourbon & Banter is a social organization founded in St. Louis, Mo., in 2008 to promote the enjoyment and education of bourbon, and they’ve put together a great itinerary for their first official journey to The Source. 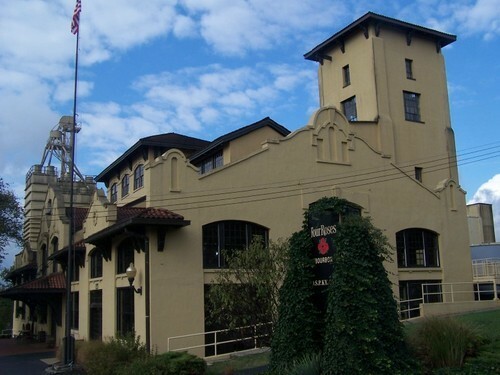 Day One of the three-day pilgrimage, which will be based in Louisville at the Hyatt, will start with a tasting at Four Roses (above) led by master distiller Jim Rutledge and continue with a stop at Wild Turkey and a visit with the legendary Jimmy Russell. (Helpful tip: Do not try to outdrink Jimmy Russell.) A three-course bourbon dinner at Bourbons Bistro follows. The pilgrimage concludes on Day Three with brunch at an establishment to be named. And at some point, the Bourbon Babe is likely to join y’all for a drink or two. The cost of the pilgrimage is $699 (excluding travel costs to Louisville) and the Hyatt is offering discounted room rates. For complete details, click here.